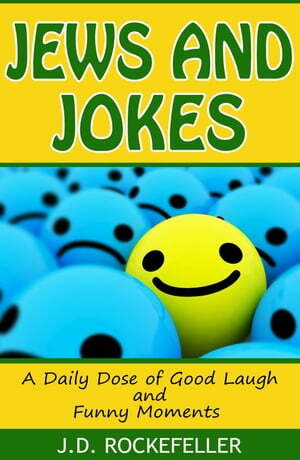 Collins Booksellers - Jews and Jokes: A Daily Dose of Good Laugh and Funny Moments by J.D. Rockefeller, 9781311373137. Buy this book online. Trying to give definition to humor of any kind is already bad business in itself. Just when you thought you have laid down the rules, someone will definitely give you a tap on the shoulder and remind you of other forms of humor. And worse, you might even get to raise some eyebrows in your mere attempt to define it. As far as Jewish humor is concerned, it is basically a kind of humor that is blatantly Jewish in all its characters, concerns, language, definitions, symbols or values. Based on one definition, a Jewish joke is something that a non-Jewish person will be able to understand and all Jews say that they already heard. However, not all the Jewish humor has been derived from Jewish sources. And in the same way, not all the humor that the Jews created are necessarily Jewish. For this reason, it would be best that you examine not the song but the singer. Jewish humor is very diverse and rich and can be difficult to adequately describe it with a single generalization. The Jewish theologians said that it is much easier to describe God in things that He is not and the same thing can be of use when trying to understand Jewish humor. Jewish humor is not escapist and not a slapstick. This is not physical and in general, it is not cruel and this doesn’t relate to the infirm or the weak. Similarly, this is also not gentle and polite. What Jewish humor truly is might be even harder to determine and here are several broad statements in a complete awareness of all the possible futility of this exercise. Usually, Jewish humor is substantive and is about something. This is specifically fond of some particular topics like food, business, family, wealth and its absence, anti-Semitism, survival and health. Jewish humor is fascinated by logic and intricacies of the mind as well as the short elliptical path that separates the absurd from the rational.